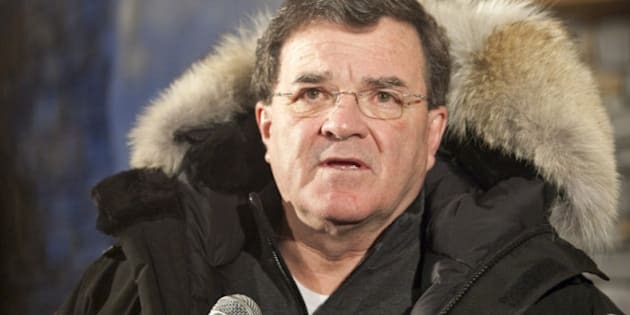 OTTAWA - Finance Minister Jim Flaherty is calling for a Senate committee to look into the price gap that continues to exist across the Canada-U.S. border. In a letter to the Senate finance committee released Wednesday, Flaherty said he was irritated that the gap continues to exist even though the Canadian dollar has been worth more than the U.S. currency for most of the year. In fact, Flaherty points out that the loonie has been strengthening over the past five years. The Canadian dollar's strength has presented challenges to entrepreneurs, exporters and the economy but Canadian consumers aren't getting full payback in the form of the prices of goods sold in this country, he says. "I share their irritation," he wrote. "When they (consumers) spend their hard-earned money, they deserve to pay a price that reflects the strength of the Canadian economy." Flaherty said he hoped the committee could start probing the issue during the upcoming fall session of Parliament. Committee chairman Senator Joseph Day said the committee had been discussing just such a probe and welcomed Flaherty's letter. "We are always looking at doing things that are useful, so if the minister says it will be useful, I think the committee would be interested." Day said the probe could be completed before Christmas if other matters don't interfere. While there is no comprehensive and timely cross-border comparison of consumer prices or the impact of currency fluctuations, Bank of Montreal economist Douglas Porter said last April that Canadians pay on average 20 per cent more on many items. Comparing a limited basket of goods, Porter found that the gap had expanded during the run-up of the loonie — which rose above US$1 late last year for the first time since the recession and stayed above par for most of 2011. "When we last looked at this issue in the summer of 2009, the spread was just under seven per cent," Porter said in the report at the time. Although his survey is months hold, Porter said he does not believe much has changed. As evidence, he points out that Canadian and U.S. inflation rates have not varied significantly. Canada's retail industry has often said it takes months to adjust to currency fluctuations, due to the lead time required to import goods. They've also said their American counterparts have several built-in advantages. Porter stops short of accusing Canadian retailers of gouging consumers, saying there are some legitimate factors contributing to the gap, including higher costs. "I think it will be interesting to get to the bottom of why the gap exists," he said in an interview. "We always talk about winners and losers of a strong currency and the winners are supposed to be Canadian consumers." The Retail Council of Canada also said it is looking forward to clearing up the confusion. Spokeswoman Anne Kothawala said in an interview that the council has spoken to Flaherty in the past about why the gap exists and one reason is tariffs on imports that can go as high as 18 per cent. "Lots of sporting equipment, hockey skates, running shoes, track suits, pillows, cotton clothing and other items carry an 18 per cent tariff on them, so as a Canadian retailer it is 18 per cent more expensive to sell that product to a consumer," she said. "That's a big one the government can do something about." She added that Canadian retailers are also disadvantaged by the small size of the domestic market, spread out over a vast area, and that some global suppliers give discounts to U.S. merchants but not their counterparts in Canada. In his letter, Flaherty asks the Senate committee to look into some of these factors, including how prices are impacted by the size of the Canadian retail market, transportation and freight costs, tariffs on consumer goods, real estate costs and other possible contributors to higher prices. "We need to ensure prices are continuing to move in the right direction and reflect the value of our stronger dollar," he says. "We must also better understand why certain price discrepancies may continue to exist."